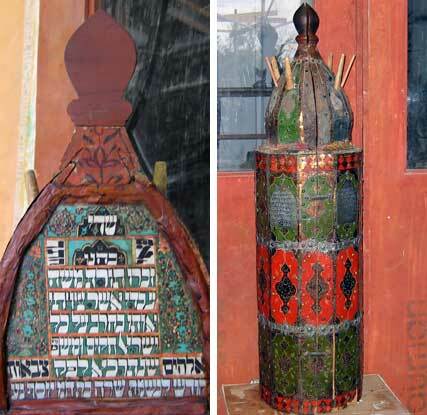 This torah scroll case from Persia dates back to 1867. It is constructed from 10 pine panels covered with brilliantly painted metal plates featuring flowers and fruits. The top "onion" was cut off at some point. The replacement was colored to match the description of other scroll cases that had been created by the same artist. The case was gently cleaned inside and out.